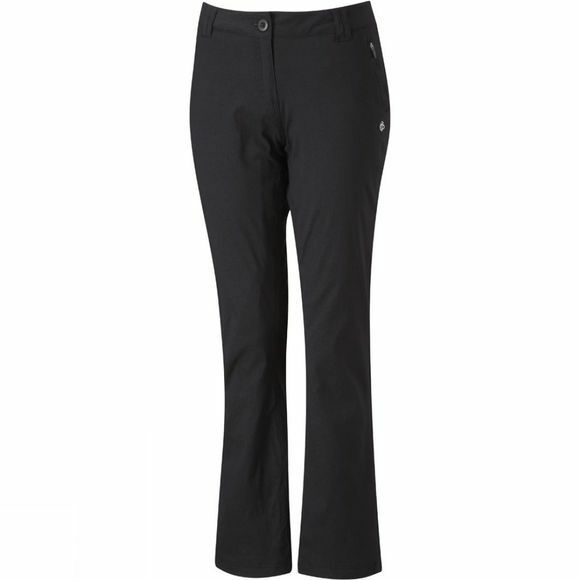 The Women's Kiwi Pro Winter Lined Trousers from Craghoppers offer warmth and comfort all day long when outdoors in cooler temperatures. They are highly breathable to ensure you don't overheat when pushing yourself and they have a stain resistant finish to ensure they always look great, whether you are reaching for the summit or using them to keep warm on the daily commute. A great addition to any wardrobe thanks to their effective combination of style and practicality.